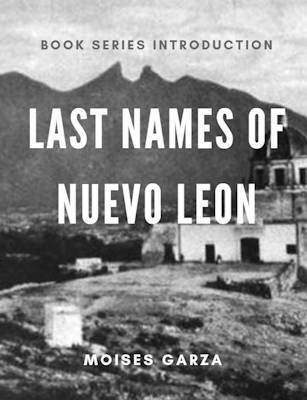 This book contains nine generations of descendants of Diego de Villarreal and Beatriz de las Casas. By the early 1600s, the name of Diego starts to appear in documents preserved in the archives of Monterrey, Nuevo Leon, Mexico. He is considered the progenitor of the Villarreal last name in Nuevo Leon, Tamaulipas, and Texas. According to Don Israel Cavazos Garza, Diego de Villarreal entered El Nuevo Reyno de Leon (Nuevo Leon) in 1608. According to him he states that Diego came from San Miguel el Grande but does not mention where that location is. Diego entered Nuevo Leon with Martin de Zavala to help pacify the region. He served around the Saltillo, Monclova, Monterrey, and Cerralvo area. He was also the Justicia Mayor and Capitan a Guerra of El Valle de las Salinas at one point. 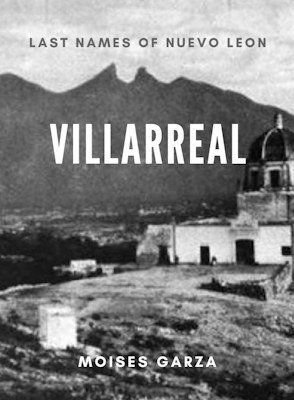 He dedicated himself as a miner and stablished the Hacienda de Minas de la Magdalena in El Valle de Las Salinas in what is now Abasolo, Nuevo Leon. He goes on to marry Beatriz de las Casas the daughter of Bernabe de las Casas and Beatris Navarro. This work is an attempt to document the descendants of Diego de Montemayor and Beatriz de las Casas and even at 413 pages, there are many more to be discovered. Research is a never ending endeavor.